Why are most books on End Times so bad for us? Since Hal Lindsay’s The Late, Great Planet Earth that suggested the Rapture might come by 1988 by Hal Lindsey in 1970, the evangelical church has been awash with books predicting what will happen in End Times. Unfortunately, most of these books are bad for us, and not only because they have at least indirectly affected the US policy on the Middle East. Right now, a popular theory championed by authors such as Perry Stone and Joel Richardson presents an Islamic Antichrist who now seems to have replaced the ‘good old’ Communist and European Antichrists. But there is little or nothing in the Bible to indicate that the Antichrist could be a Muslim but a lot to indicate that he won’t be. It should be enough to read the prophecy by the apostle Paul about “the man of lawlessness” in Thessalonians 2:3-10 to understand that the Antichrist is unlikely to be an Islamic leader. Paul writes that the “mystery of lawlessness” is already at work which seems to indicate that the type of lawlessness energising the Antichrist to power was already visible in times of the Roman Empire. It is unlikely that Paul would use the word “lawlessness” to refer to a system that seeks to introduce an Islamic legal system to the world. In fact, it seems to me that Muslims might be the first ones to object to an Antichrist who will seek to be worshipped like god by men, as in Islam there is no space for physical incarnation of God. In fact, these kind of theories reflect the present-day political situation much more accurately than the Bible prophecies, and some of these theories are in fact harmful not just to the Church but the world. One of the tenets of many Zionist Christians is that any compromise with the Palestinians could lead to the destruction of Israel, and any peace with Palestinians would be based in deception. But that’s not what the Bible prophecies say in any sort of uniform way. “Therefore, son of man, prophesy and say to Gog, ‘Thus says the Lord God: “On that day when My people Israel dwell safely, will you not know it? Then you will come from your place out of the far north, you and many peoples with you, all of them riding on horses, a great company and a mighty army. You will come up against My people Israel like a cloud, to cover the land. It will be in the latter days that I will bring you against My land, so that the nations may know Me, when I am hallowed in you, O Gog, before their eyes.”'"
Ezekiel prophesies that in near future Israel will be living in peace with its neighbours. The threat to its existence will not come from her neighbours but from from far north. It is impossible to understand Bible prophecies without knowing history, as many prophecies some scholars are still waiting to be fulfilled have in fact already been fulfilled. I have yet to see any of the popular authors on the End Times to mention that there was in fact a second Jewish Kingdom roughly the size of David’s Kingdom around 150 years before the birth of the Church. The Hasmonean dynasty was the ruling dynasty of Judea and surrounding regions during classical antiquity. Between c. 140 and c. 116 BCE, the dynasty ruled semi-autonomously from the Seleucids in the region of Judea. From 110 BCE, with the Seleucid empire disintegrating, the dynasty became fully independent, expanded into the neighbouring regions of Galilee, Iturea, Perea, Idumea and Samaria, and took the title "basileus". Some modern scholars refer to this period as an independent kingdom of Israel. In 63 BCE, the kingdom was conquered by the Roman Republic, broken up and set up as a Roman client state. The Kingdom had survived for 103 years before yielding to the Herodian Dynasty in 37 BCE. Even then, Herod the Great tried to bolster the legitimacy of his reign by marrying a Hasmonean princess, Mariamne, and planning to drown the last male Hasmonean heir at his Jericho palace. I am not saying that all Old Testament prophecies regarding Israel were fulfilled through that kingdom but I find it hard to believe that hardly anyone even attempts to factor this kingdom in when it comes to the interpretation of Bible prophecies. This can only be due to serious lack of historical knowledge. It is probable that many parts of the Book of Daniel refer to historical events around that kingdom but unfortunately, the Protestant Bibles don’t include 1 and 2 Maccabees that outline the birth of that kingdom. I recommend every Christian to read 1 and 2 Maccabees. Many talk about 400-year silence between the writing of Old Testament and the New Testament when God presumably didn’t speak anymore but that silence is there only in the Protestant Churches that didn’t include 1 and 2 Maccabees in their Bibles. The 400-year silence is a myth and not a historical fact. Unfortunately, most theologians have never been serious students of history, but anyone dabbling with eschatology should really spend nearly as much time studying world history than the Bible to ensure sound understanding of the Bible prophecy. Most of these books on End Times are based on trying to fit the present-day political framework into the Bible prophecy. Hence we have had the Communist Antichrists that have now been replaced by Muslim Antichrist, although some try to catch to flies with one stone by presenting Obama as some sort of hybrid Communist & Muslim Antichrist! Put simply, many of these books are full of speculation that has more to do with conspiracy theories than the Bible. And only very few bother to ask God regarding the validity of their theories. 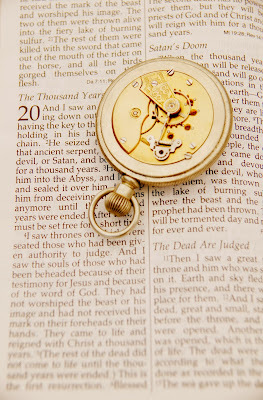 I believe that any serious attempt to understand End Times takes three things - knowledge of the Bible, knowledge of history and prayerful seeking to hear God’s voice. Christians behave like any other consumers, and sensationalism sells. For example, the bestselling The Harbinger: The Ancient Mystery That Holds the Secret of America's Future by Jonathan Cahn is based on misapplying Isaiah 9:10 to America. But this word was given by Isaiah to Israel, the Northern Kingdom and there really is nothing in the prophecy that could be applied to America. But when connected to 9/11, it sells! It is Christian to forgive but to grow in wisdom you must have a good memory. It seems that many Christians consuming these type of books on End Times don’t really mind much if the previous book by the same author has already been proven wrong by world events. They can only have a short memory. The best defence against bad books about the End Times is serious Bible study, but many are too lazy for that. 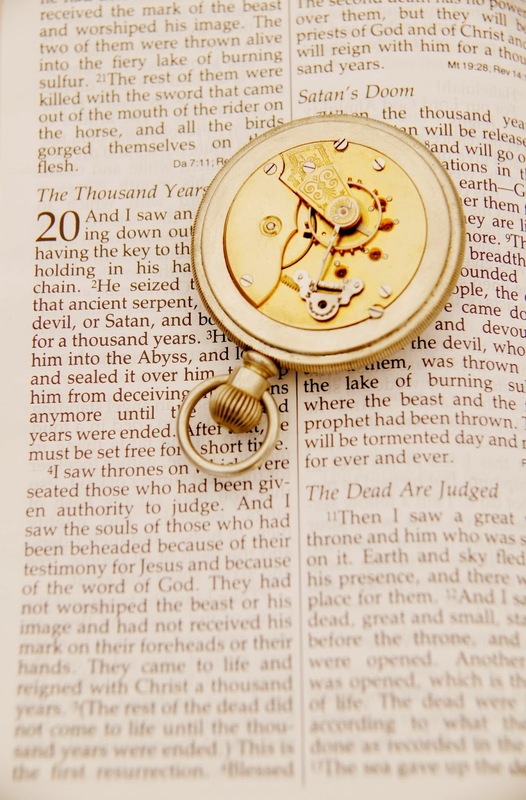 Because of all this, many Christians have concluded that trying to understand the End Time prophecy is a hopeless endeavour and they hardly open the prophetic books in the Old Testament or the Book of Revelation. And that is a shame, as it seems to me that the world is slowly sliding toward End Times, and it might be helpful to study what God really said about them. Hal Lindsey's Pretrib Rapture "Proof"
Is Hal Lindsey's proof for a pretrib rapture "100 proof" - that is, 100 percent Biblical? In "The Late Great Planet Earth" (p. 143) Lindsey gives his "chief reason" for pretrib: "If the Rapture took place at the same time as the second coming, there would be no mortals left who would be believers" - that is, no believers still alive who could enter the millennium and repopulate the earth. We don't know if Lindsey's amnesia is voluntary or involuntary, but earlier (p. 54), while focusing on chapters 12 through 14 of Zechariah, Lindsey sees "a remnant of Jews in Jerusalem" who are mortals who will become believing mortals at the second coming and then become repopulating mortals! During the same discussion of Zech. 12-14 Lindsey overlooks some of the final verses in Zech. 14. They reveal that some of the tribulation survivors "of all the nations which came against Jerusalem" will refuse to go there "to worship the King, the Lord of hosts." Here's what will happen to those "heathen" rebels: "upon them shall be no rain." So the facts about the repopulating mortals, in unbelieving as well as believing ranks, cancel out Lindsey's "chief reason" for opposing a joint rapture/second coming - the ONLY rapture view to be found in official theology books and organized churches prior to 1830! Although Hal Lindsey claims that his "Late Great" didn't set a date for Christ's return, many of his followers - including copycats Bill Maupin ("1981") and Edgar Whisenant ("1988") - did view Lindsey as a date-setter, and his later book "The 1980s: Countdown to Armageddon" (the sort of title that date-setters and their ga-ga groupies love) became another fizzle - unless we're still living in the 1980s! In Old Testament days false prophets were stoned to death. Today they're just stoned!